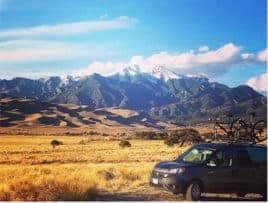 After years of road tripping in Subaru Outbacks and attaching all our gear to the roof and hitch rack we decided it was time to find a vehicle we could haul gear inside of that also had a bed. 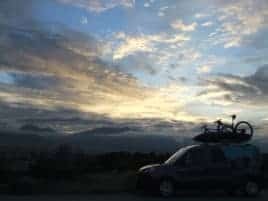 A friend had posted a link to Wayfarer Vans on Facebook and during my internet search for a van conversion I knew that the Walter kit for the RAM ProMaster 136 high roof top would be the perfect fit for our adventures. I contacted Ian at Wayfarer several times before pulling the trigger with all kinds of questions and he was always quick to respond. Ian and I worked with the local RAM dealership and got the process started and within 2 months I was in my new Wayfarer Van. I flew into Denver and was shuttled down to Colorado Springs. Upon arrival I signed a few documents, jumped into the van and drove it off the lot. Since I had a bed and kitchen, a quick stop at the market for food, another stop at REI for a fuel canister and I would have all I would need for my journey home to north Idaho. 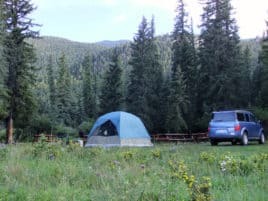 We have taken our van on a few microadventures and love having the option to stop wherever we want to hike, bike, SUP or eat in a restaurant without having to worry about all our gear. We absolutely love our van and cannot thank the Wayfarer team enough… Adventure awaits!